Recent smartphones have become harder to open up and repair because of purposely chosen designs, like glass backs and unibody shells. The third-party and self-repair markets, however, have worked to study and learn from these to create tools and processes for easier teardowns. But just when things seem to have become normal, new technologies seem to undo all of what was gained. The Galaxy S10, with its new ultrasonic fingerprint scanner, seems like the perfect example of that but the phone is designed to thwart unofficial repairs in more ways than one. 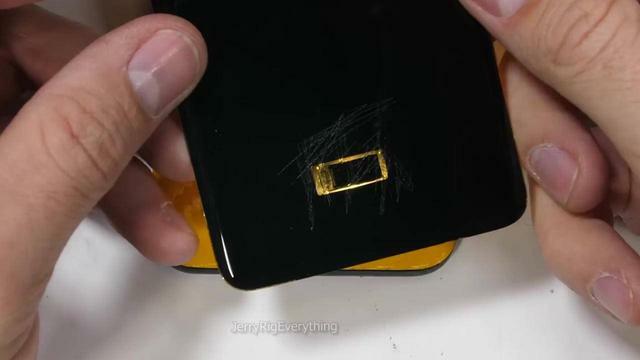 JerryRigEverything’s teardown seemed to be off to a good start and the glass back was pried off without incident. Aside from the connection-less back, the unattractive black covers, and the conventional screws, nothing seemed out of the ordinary. That was until Zack Nelson got to removing the motherboard and the charging port along with it. Breaking away from nearly four years of good faith, Samsung has decided to solder down one of the most easily broken parts of a smartphone. While now more resilient than its predecessors, the USB-C port isn’t invulnerable to wear and tear and the elements. But now that it’s an integral part of the Galaxy S10 main board, repairing that small but critical piece practically means getting a new $900 phone. And then there’s the ultrasonic fingerprint sensor. If for any reason it breaks, you again need to get a new phone. Unlike optical in-screen fingerprint sensors, Samsung’s ultrasonic variant is glue tight to the underside of the screen and there is no way to reach it without killing the display anyway. The Galaxy S10 is a durable phone and that very thin ultrasonic fingerprint scanner happily works through even heavy scratches. But when, not if, the worst does happen, it might prove to be one of the least repairable phones this year and the one with the most expensive total cost of ownership.